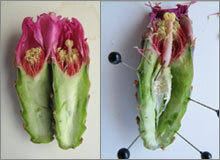 Read about this unique florilegium established to document plants native to the Sonoran Desert. 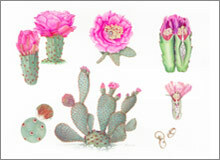 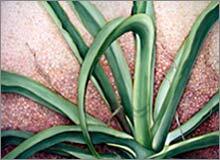 Browse the selection of artworks of Sonoran Desert plants. 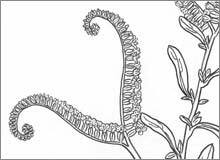 The University of Arizona Herbarium's illustration collection includes 450 drawings by Evelyn Thornber, niece and illustrator for Professor John James Thornber. 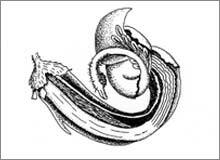 Here is a selection of her work. 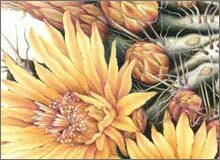 Visit our online exhibit, a complete presentation of Botanical Art of the Sonoran Desert: Past & Present, a 2013 exhibit shown at the Arizona-Sonora Desert Museum's Ironwood Gallery. 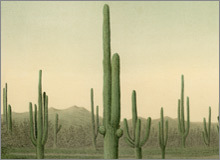 Twenty-eight of the plants illustrated for the Legumes of Arizona project are native to the Sonoran Desert and are included in the Sonoran Desert Florilegium. 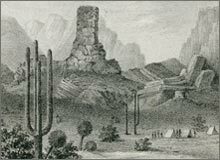 These intricate pen and ink illustrations can be viewed here, along with information about the Legumes of Arizona project. 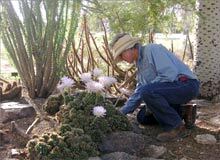 An archive of articles about botanical art from the Tucson Cactus and Succulent Society's newsletter The Desert Breeze. 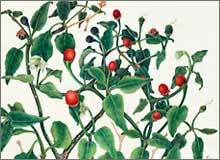 Olneya tesota (right), desert ironwood, by Margaret Pope (right). 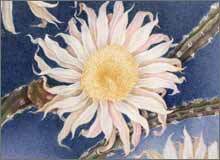 The Sonoran Desert's beautiful summer nightbloomer, Peniocereus greggii, can be seen here in ten illustrations, ranging from historic scientific illustrations to evocative portraits of the flowers. 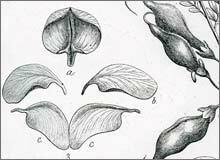 Learn about the process of creating a scientific botanical illustration, also called a botanical plate. 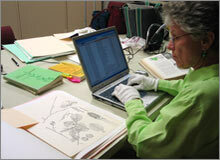 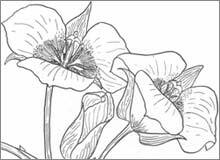 Read about our projects to preserve and exhibit botanical art, both historical and contemporary. 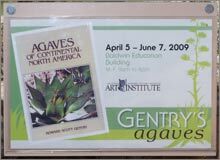 View works from several past exhibits of botanical art of the Sonoran Desert, including Gentry’s Agaves, illustrations from Howard Scott Gentry’s landmark work on the genus Agave. 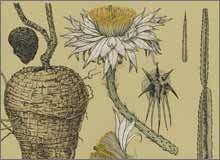 For more than 400 years, florilegia, or “flower books,” have been created as botanically accurate renderings of living collections of plants from a particular botanical garden or region. 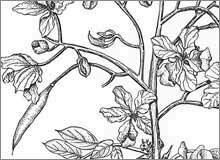 The earliest published florilegia were compilations of paintings of plants found in European flower gardens, but over time, they have come to play a broader role in botanical and historical documentation. 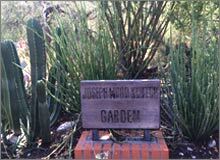 In keeping with the Sonoran Desert Florilegium Program’s goal to promote conservation and appreciation of Sonoran Desert plants through botanical art, the program has established a florilegium to document plants native to the Sonoran Desert Region. 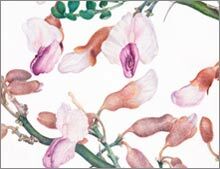 Traditionally the paintings of a florilegium were compiled and published as a book, but contemporary florilegia increasingly have become curated collections of botanical art. 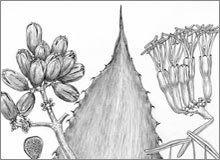 Unlike many of these florilegia, the Sonoran Desert Florilegium is an online collection of digital images of botanical art that can reach a far wider audience than a curated collection of physical artworks. 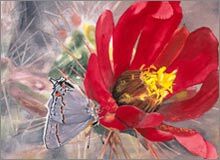 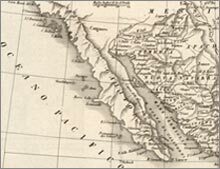 A call for entries for artists to submit works to the Sonoran Desert Florilegium can be found here.